The funniest line Carr ever made was probably his defence of his tax avoidance. ‘I pay what I have to pay and not a penny more.’ So, the 1% that he pays on his £3.3m fortune is begrudged. But we should not expect morality from stand-up comedians. This is the man who cracked the joke, ‘The male gypsy moth can smell the female moth up to seven miles away – and that fact also works if you remove the word moth.’ The offensive remark led to a BBC apology. Carr, the sensitive chap that he is, still persists with it on stage. It is no more elegantly phrased today than when he first told it. During the Second World War, Jack Benny was keen to stress how all races and nationalities within America were contributing to war effort. Eddie Anderson was black. Jack Benny toned down the racial humour after the War and after he became aware of the Holocaust. Today Jimmy Carr thinks it funny to laugh at gypsies. Jack Benny was affected by the inhumanity of man that existed in his era. Jimmy Carr merely wants to be with the inhuman counting his unpaid tax. In his radio show which was broadcast on March 28 1948, there is a scene where Benny is stopped by a thief. ‘Don’t make a move,’ says the thief. ‘This is a stick up. Now come on. Your money or your life.’ The radio is silent for an agonising eight seconds but the huge American audience knows how mean Benny is with money. They stay listening and even laugh during the ridiculously long pause. ‘Look bud,’ says the exasperated thief eventually. ‘Your money or your life.’ This time Benny replies quickly. ‘I’m thinking it over,’ says Benny. American families explode into laughter and there is a coast to coast crack across the American skies. Now we have Jimmy Carr and this. ‘Why are they called Sunshine Variety Coaches when all the kids on them look the same?’ Well, as Jack used to say, if you are going to sneer at gypsies it is only fair that you include the disabled. Presumably, this is what David Cameron meant by the Big Society. We will endeavour to be hostile to everyone that is different. The same ethos applies to his welfare reforms. There are 17 proposals and the intention is clear. We punish everyone. Oddly, Cameron has singled out Jimmy Carr for not paying his taxes, the only person Cameron has criticised. Carr has a downbeat look and Cameron, a man who specialises in flab of all kinds, is perhaps wary of people with muscle, either physical or intellectual. The years of Jack Benny were not perfect but there was will and vision after the end of the Second World War, an understanding that we had to help the victims. America invested huge amounts of money in war damaged Europe and established markets and demand that enabled them to create their high standard of living. Now we have Jimmy Carr paying 1% tax and Cameron saying that as his Government has absolutely no idea how to create economic growth and jobs it is only sensible to attack the already perilous living standards of the poor. Thatcher was an unpleasant Tory but she understood that if employers were to benefit (unfortunate choice of word probably) from high unemployment and enjoy a buyers’ market for labour then somebody would have to pay the unemployed to keep quiet. The rich soon accustomed themselves to the idea of high unemployment but now they do not even want the unemployed to be paid. It’s trite to say so, but this neo-conservative greed has to stop. Benny belonged to an American generation that signed up to the Marshall Aid Plan and tax rates that involved rich people paying 90% tax. The money that was collected created infrastructure and jobs and demand and a nation became rich. It is called basic economics. Now we have masters who believe affluence should be confined to just a few who can use their influence to encourage us to sneer at the disabled and gypsies. Let’s face it, they say to a big laugh, none of us like losers. Jimmy Carr may get indignant about holocausts but he has no qualms about economic corrals for the millions of people who are not in his income group. This blog has made this point before but Elvis paid 90% tax and avoided tax shelters. The view of his critics is that it happened because he was a bit thick. But there is a website that quotes the Will of Elvis as a textbook example. This suggests that Elvis had decent values. He was not obsessed with money but he was concerned about the future of his family. This makes him human, a man who emerged from more civilised times. Others can think about a suitable term for Jimmy Carr. ‘Oh, boss, come now,’ says Eddie. ‘I’m thinking it over,’ says Jack. This is a fabulous piece, spot on and the references to Jack Benny really serve it well to emphasise what a total piece of slime Jimmy Carr is, regardless of what Victoria Coren(with whom I can usually agree)thinks of him. 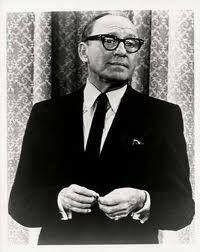 Although I’m pretty sure Jack Benny at least paid his taxes, it was funnier to make him so stingy. 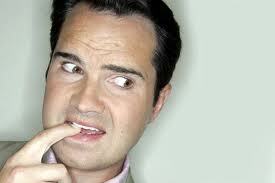 I don’t know anything about Jimmy Carr, but my first reaction is how did he make so much money? He’s awful (talent wise and personally). I know that we’re having the same debate about taxes in the U.S. I hate that there are so many loopholes in the code for the rich and corporations to slip through and avoid paying their fair share. You are right. It was part of the act with Jack Benny. Jimmy Carr is as awful as he pretends to be. 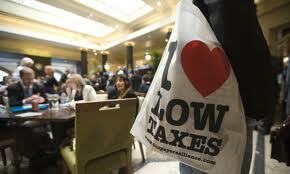 Good to see you are having a debate about tax in the States. Maybe you can lead the way.